Are You Ready For Your Free Estimate? Contact us now to increase your comfort, safety, & reduce energy costs! Protect your property from the sun with profesional glass window films! We have been providing shade in the Lansing and Jackson, MI area for over 20 years. We offer glass tinting services for homes, businesses and vehicles. Since 1971, our family-owned and -operated business has been known for meeting customers' needs and taking pride in our quality work. Our philosophy remains that no job is too big or too small for our experienced staff. Solar Window Films: One way mirror, bronze, neutral, silver. Decorative Window Films: Etched with optional degrees of translucency, blackout, whiteout, designs etc. 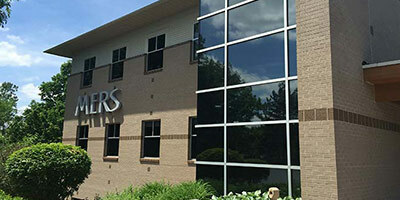 Security Window Films: 2-12 Mil (clear or solar), attachment systems (optional). Anti-Graffiti Window Films. 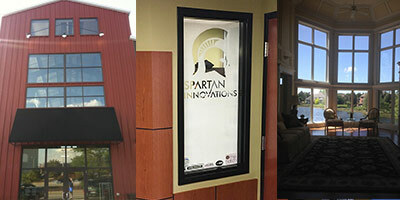 Customized Window Films: Logo cut outs, store hours decals, printed graphics.